Milk created the visual effects for the epic opening and closing sequences of action sci-fi feature film “The Divergent Series: Insurgent” for Summit Entertainment (Lionsgate). Milk created crowd and full CGI environment work for both shots which total one and a half minutes on screen. Milk created the opening fly-over view of a devastated future Chicago which features war-torn buildings and debris. 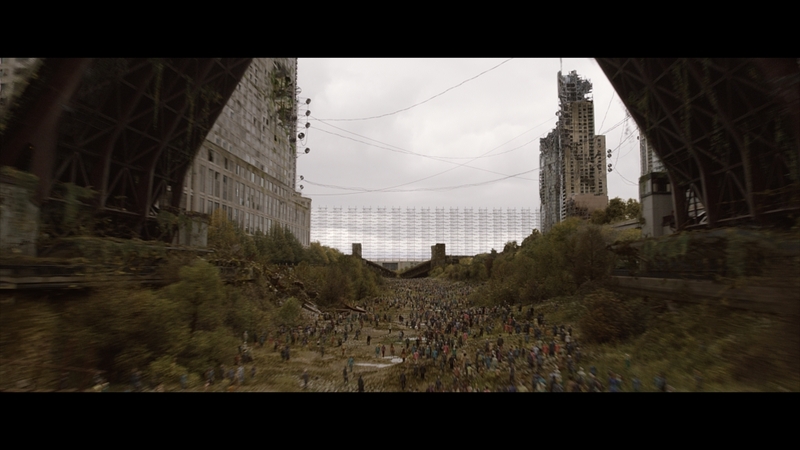 The shot necessitated fully replacing the ground plane with CGI assets created by Milk – debris, vegetation, the dry riverbed and several hero CGI buildings. The Milk team worked with production’s VFX Supervisor, James Madigan, to fully replace various buildings and interiors in order to show a complex level of destruction. Milk also produced additional CGI assets including turbines and cables, and its R&D team created tools to produce the dramatic effect of weathering and ivy crawling across the city. 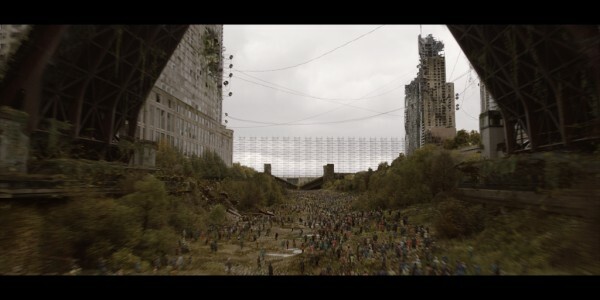 In addition, Milk generated a crowd of 250 digi-double people, digital flamethrowers and trucks for the ‘Abnegation’ area, which had to seamlessly match the subsequent drama shots. The Milk team also substituted the Barclay Tower with the ‘Erudite’ Headquarters and fully replaced the distant environment behind it with a deserted landscape bordered by the city wall. The focus of Milk’s work in the closing shot was the dramatic aerial sequence featuring crowds of people in their factions moving across the landscape, as the camera travels up a dried-out riverbed. The biggest challenge was creating a digi-double crowd of 50,000 people, while ensuring each faction was accurately represented. The full integration of software Golaem Crowd in Milk’s pipeline made possible the task of choreographing this vast throng. Milk overcame the challenge of rendering the complex CG assets – grass, trees, ivy, flowers, rocks and CG crowd – by converting them into Arnold scenes, which allowed for rendering around 5 billion polygons per frame in under an hour. Milk’s VFX Supervisor Nicolas Hernandez worked closely with Double Negative to seamlessly blend their work in the closing shot. Double Negative created and tracked the cityscape, and Milk built the CGI dry riverbed and bank.